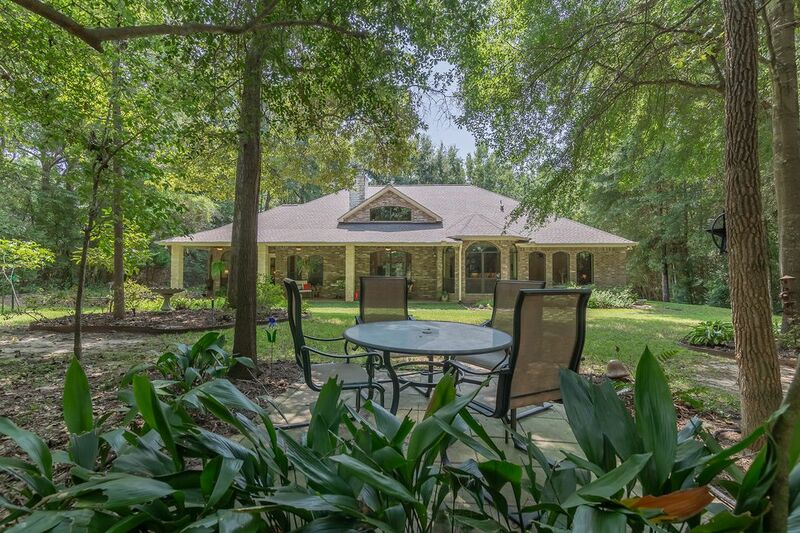 7463 Enchanted Stream Drive, Conroe, TX 77304 | Martha Turner Sotheby's International Realty, Inc. Walking paths take you out to the farthest boundaries. 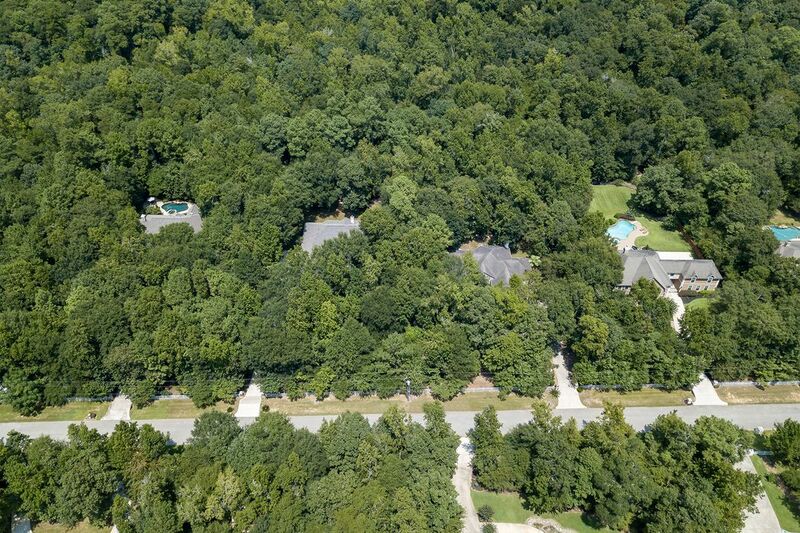 Majestic trees surround the entire property insuring priceless privacy. 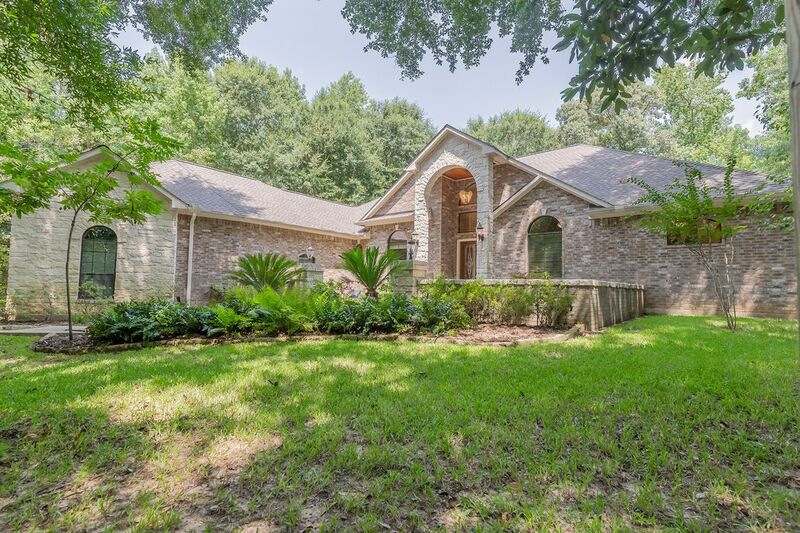 Your own slice of tranquility, just one mile away from I-45, yet tucked away in this upscale, gated acreage community. 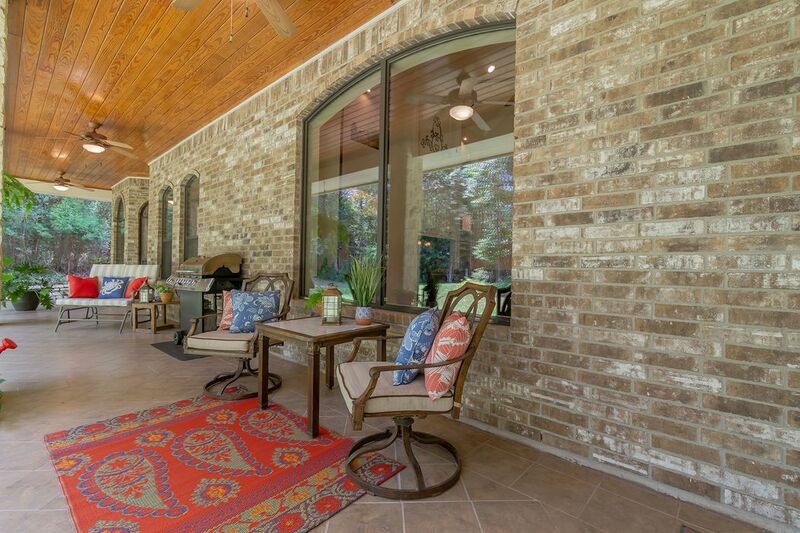 COVERED BACK DECK Expansive lounging & grilling area with phenomenal 46 feet in length. 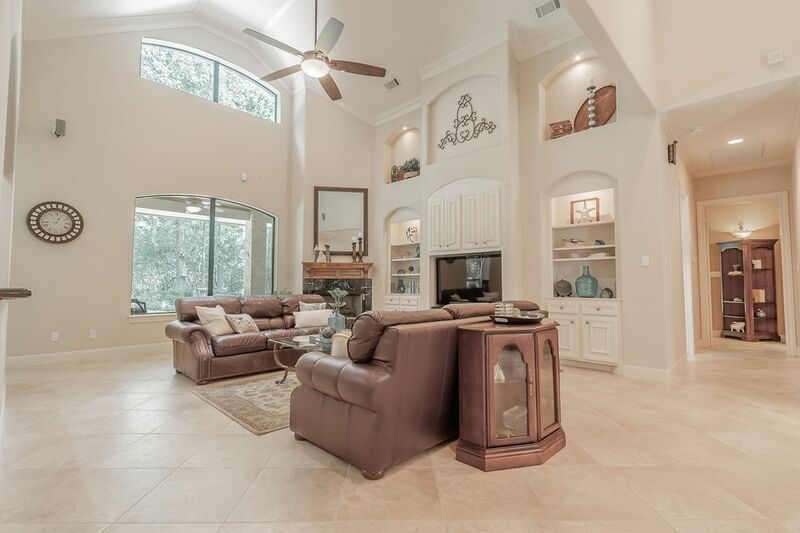 Beautiful hardwood ceiling blends well with the wooded surroundings. 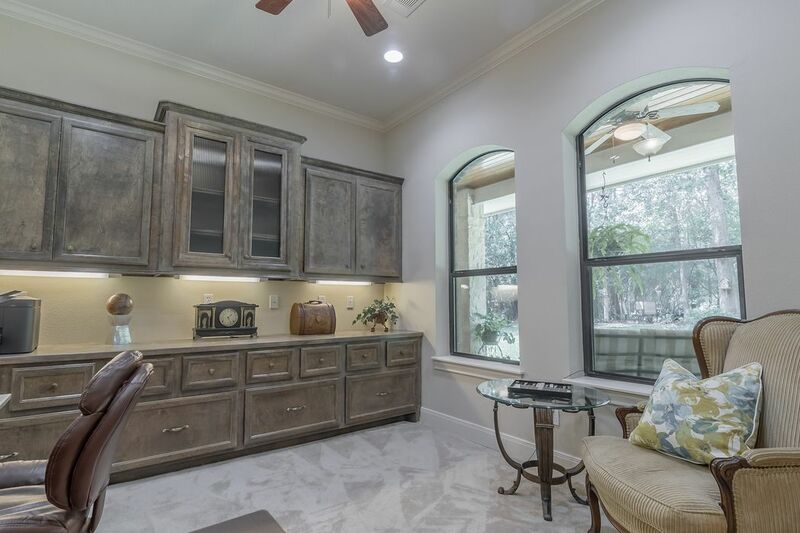 This space will become one of your favorites as you enjoy all the seasons. 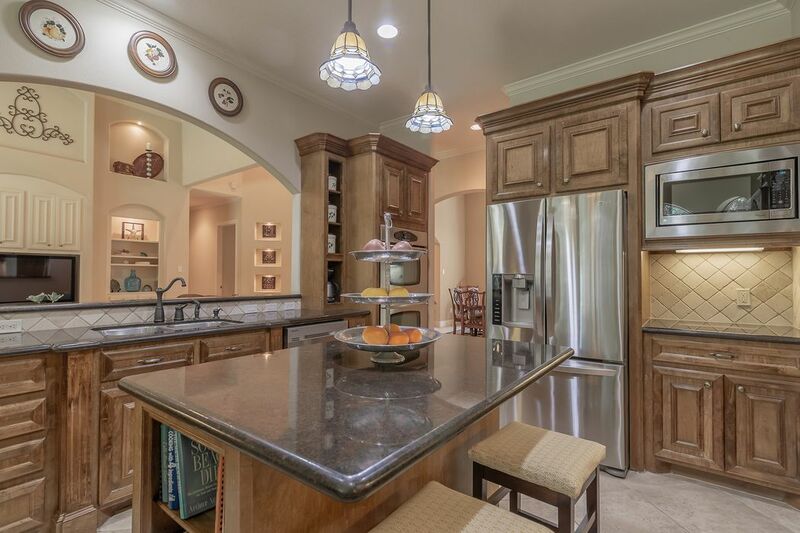 BUTLERS PANTRY Lets guests mingle and comfortably serve themselves. 11x11 PRIVATE STUDY With great built-ins set up for file storage in the bottom drawers, you can have what you need readily available. 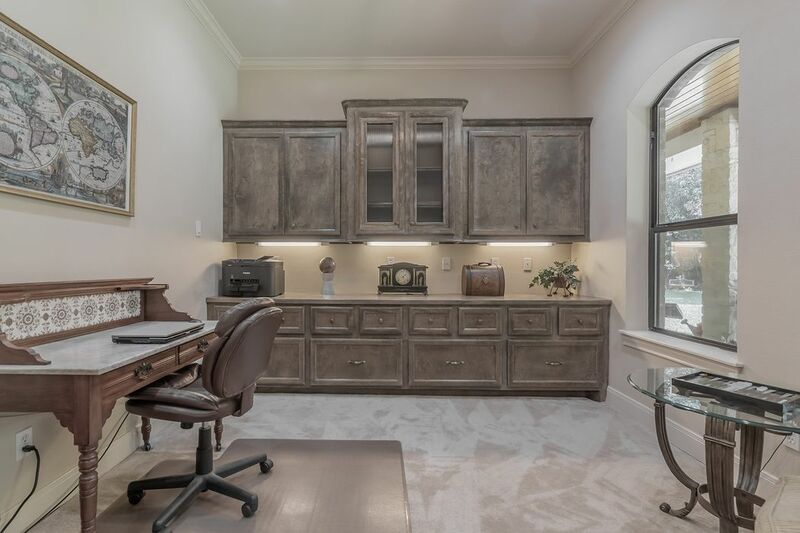 This quiet location let's you knock out the work and get back to who's important. MASTER Alternate View to show the access to the Private Study. 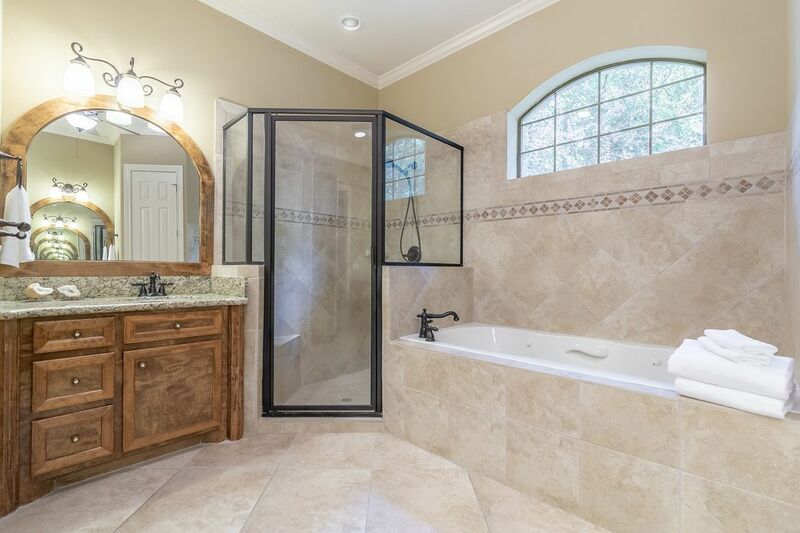 14x14 MASTER BATH Indulgent feel with deep soaking spa tub, dual sink, vanity space & water closet. MASTER BATH Alternate View with vanity and door to the water closet. 17x14 GAMEROOM This first level room is a happy first level inclusion. 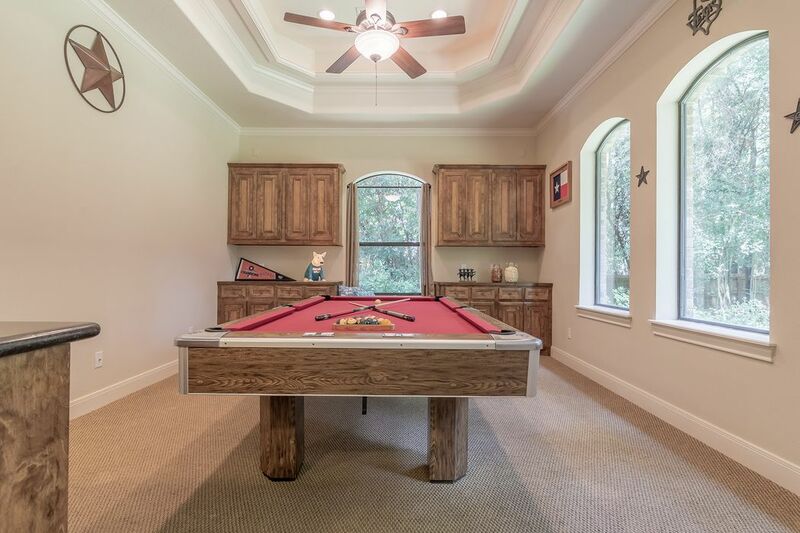 Normally banished to the 2nd level where often, "out of sight" means "out of mind", this sporting room gets its share of activity. 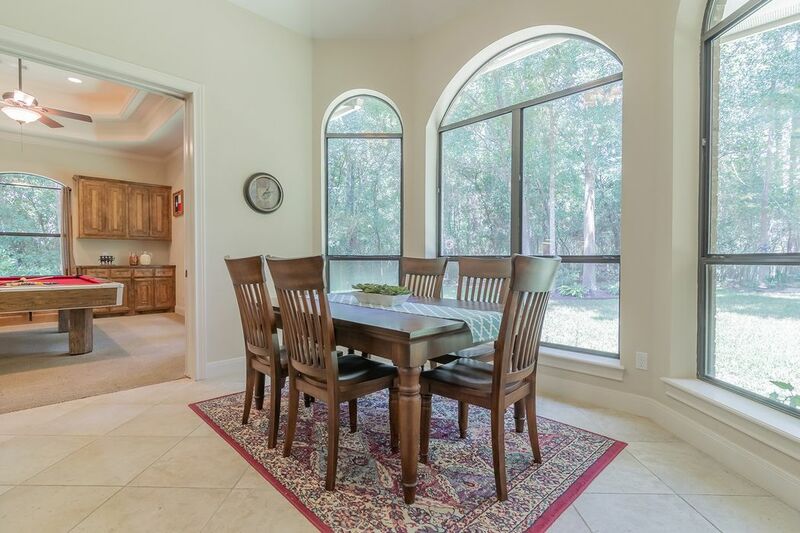 12x11 BREAKFAST ROOM Great size to function as a 2nd Dining Room when the crowd is large. 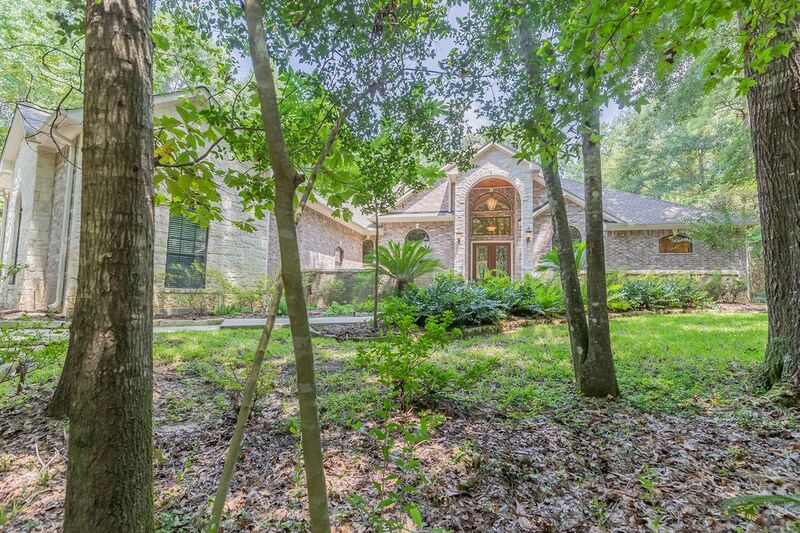 Peaceful back views and open to the Kitchen, Family Room & Gameroom. 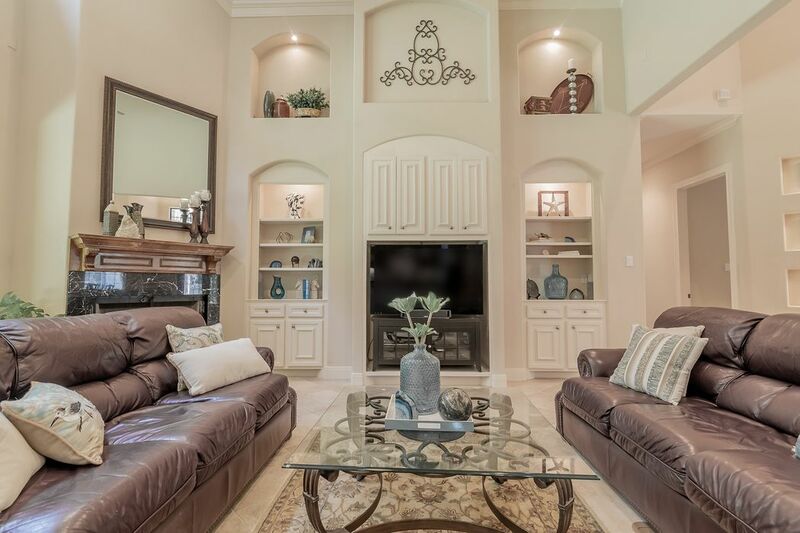 This easy flow is one of the reasons this beautiful custom could be your "Forever Plan". 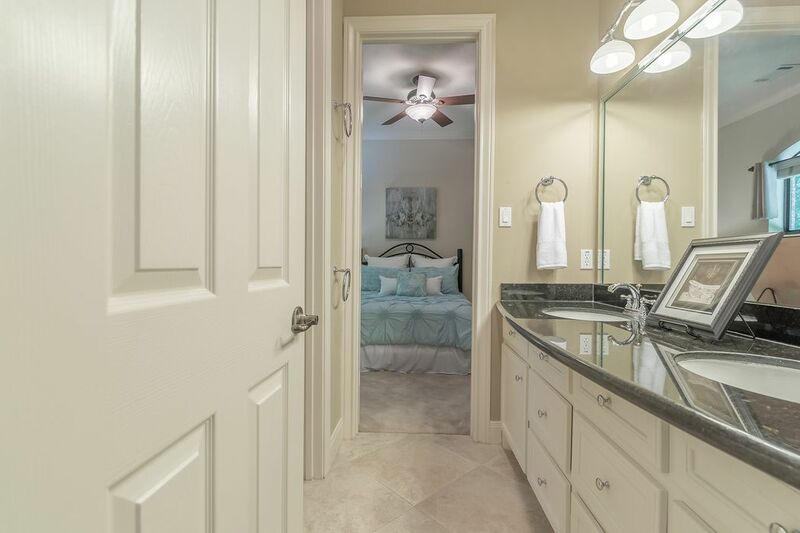 15x12 BEDROOM TWO An adjacent full bath is just out in the hallway. This room faces the front Courtyard. 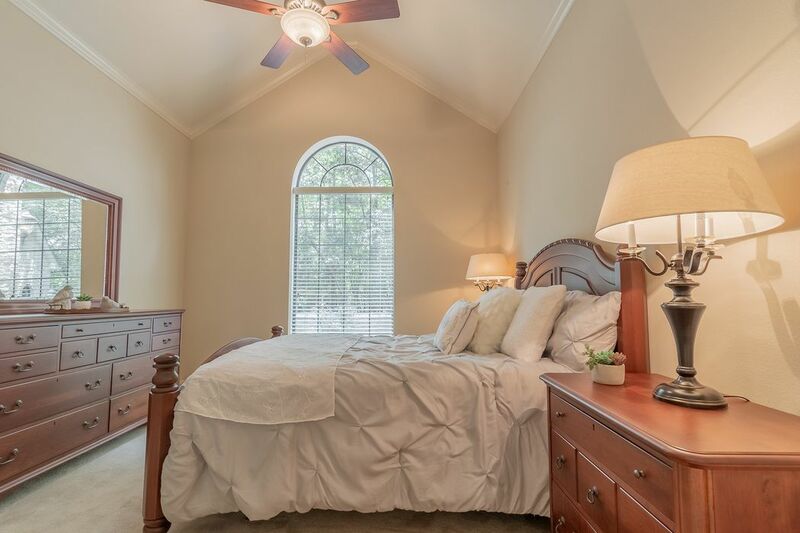 With vaulted ceilings, crown molding & arched window, it is light & spacious feeling. 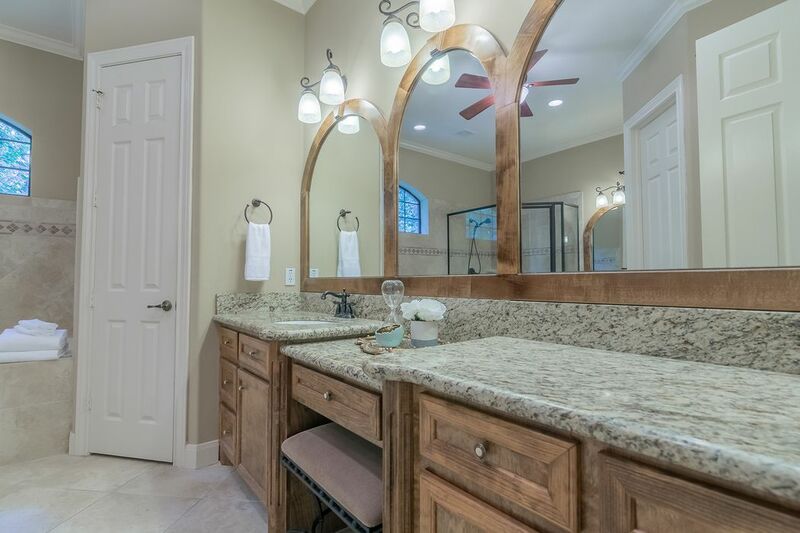 FULL BATH TWO Granite console with curved detail as well as diagonal tile with transition are some of the intricate details noteworthy in this beautiful custom home. 14x 12 BEDROOM FOUR There are no tiny bedrooms here. 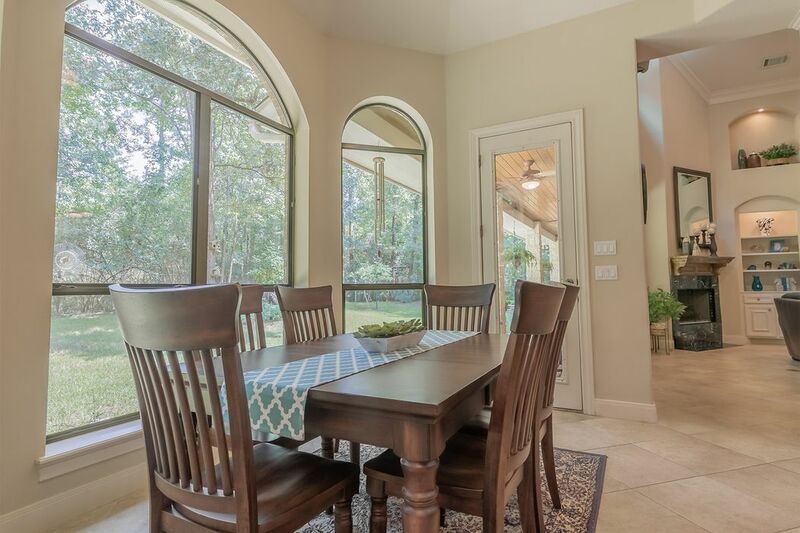 Each is spacious with large picture windows to take in the lush views. FULL BATH THREE This is a Jack-n-Jill style bath, with double sinks and a shared water closet with tub with shower. 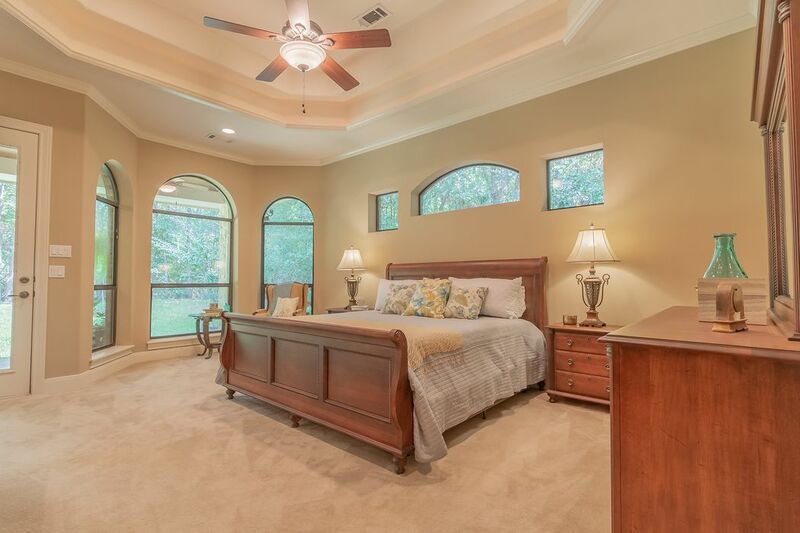 Located between Bedrooms Three & Four on the opposite side of the home from the Master Suite. 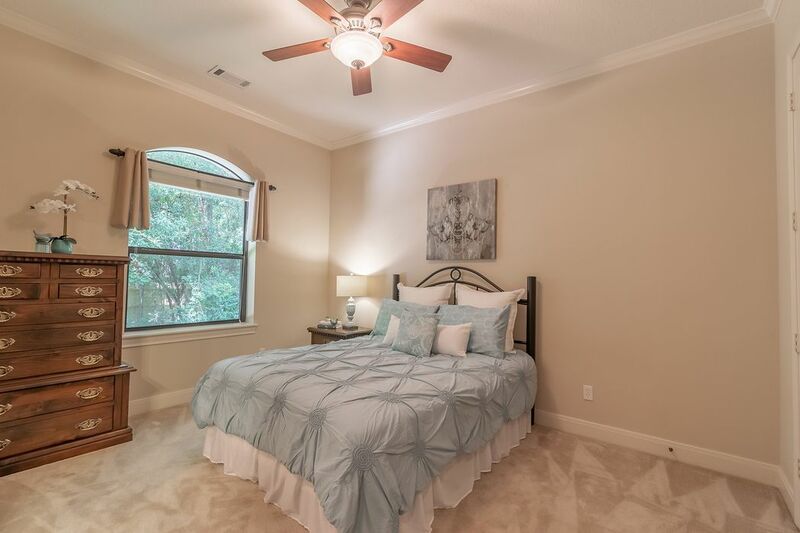 14X11 BEDROOM THREE Another spacious Bedroom with good sized closet and picture window. Adjacent to the Jack-n-Jill Bath. 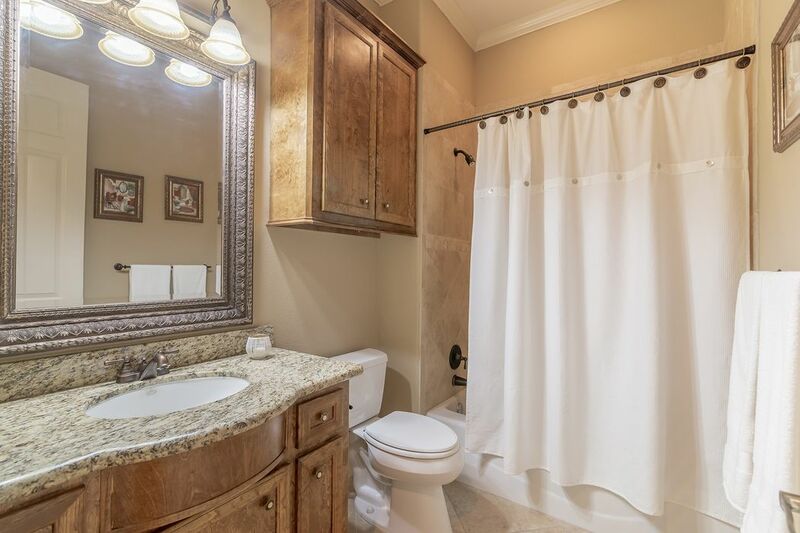 12x9 Generous sized with abundant storage, granite counter with sink for soaking or placing the catch of the day from nearby Lake Conroe, just 2 miles away. 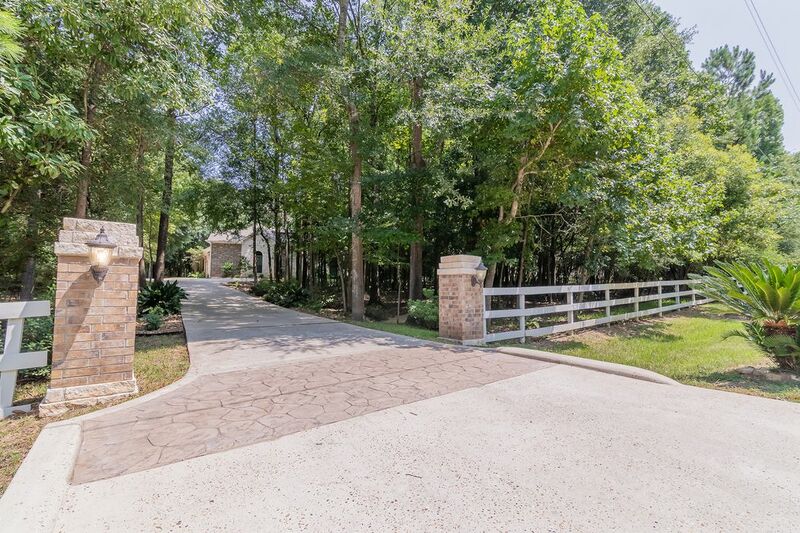 DRIVEWAY ENTRANCE Fenced in front with the exception of the drive which could be gated should you desire that additional privacy. ENCHANTED PATH in the front yard of 7463 Enchanted Stream. That the woods have been preserved will be your daily pleasure. FRONT COURTYARD This inviting area welcomes visitors and you home. 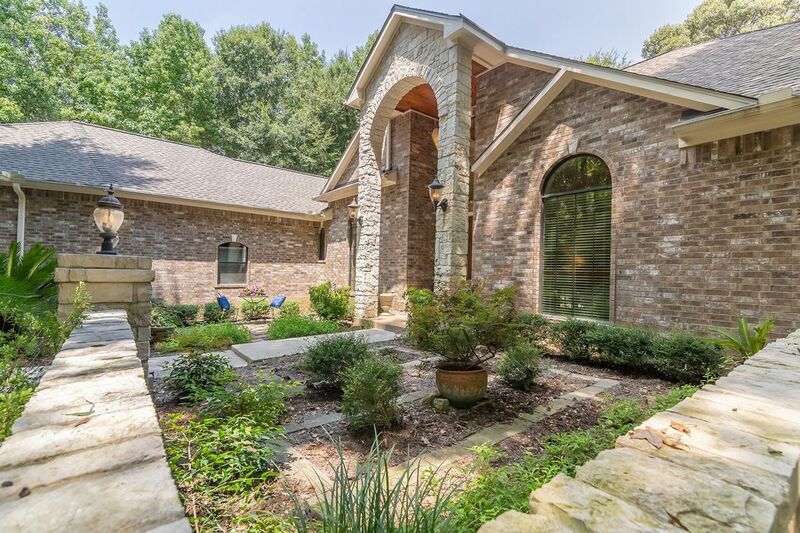 Stone wall border has created a unique custom entrance to the home. CLOSE UP FRONT VIEW The pale green bushes in front of the stone section of the home picked up a darker shade in this photo on the light stone. The stone is not discolored. BREAKFAST ROOM Looking into the Gameroom. What a great plan! FAMILY ROOM Straight on view from the Kitchen. FAMILY ROOM View from the Foyer notes the 22 Ft ceilings. 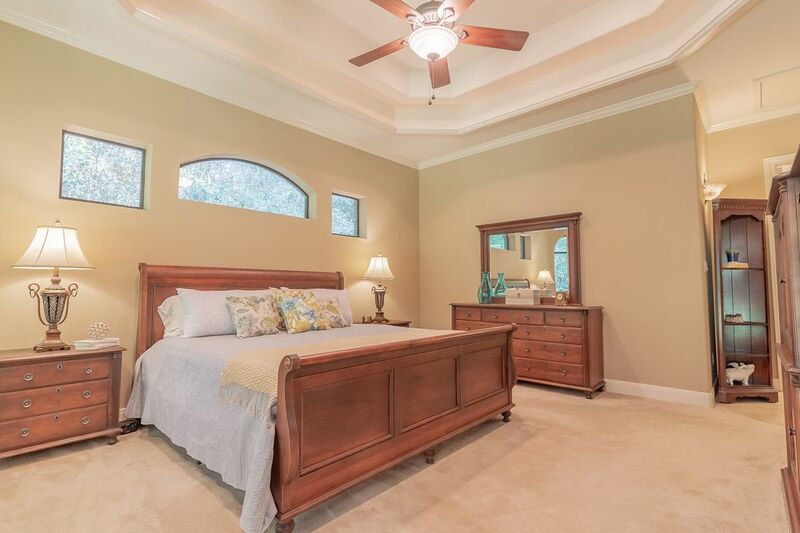 This is an elegant & spacious room. DINING ROOM Straight view from the Kitchen. Plus a view of the beautiful double front doors. 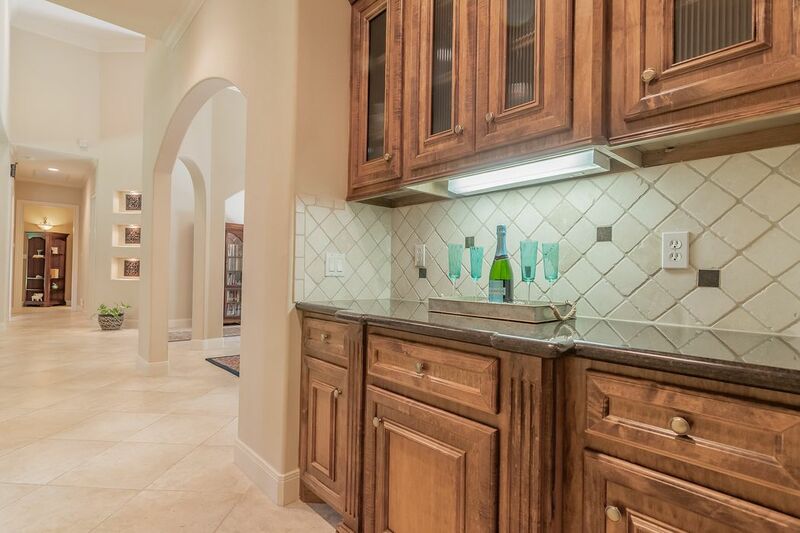 Great tray ceiling with ambient lighting. 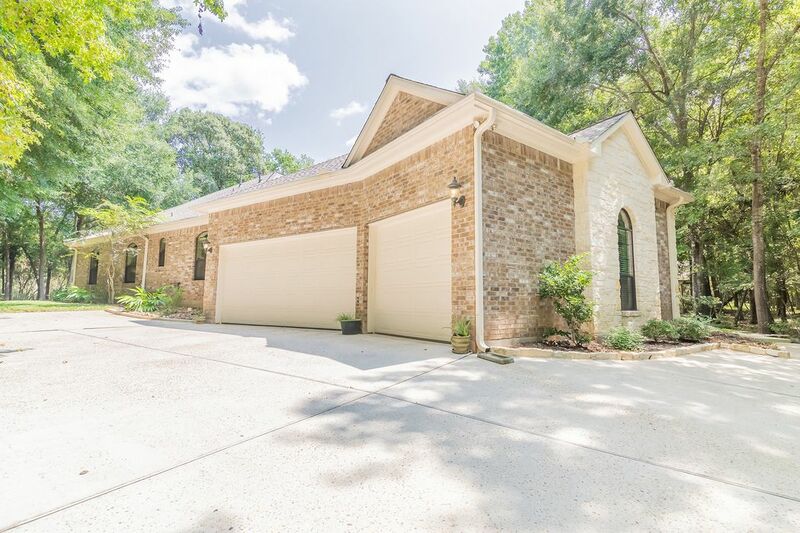 $575,000 4 Bedrooms3 Full Baths3,385 sq. ft. 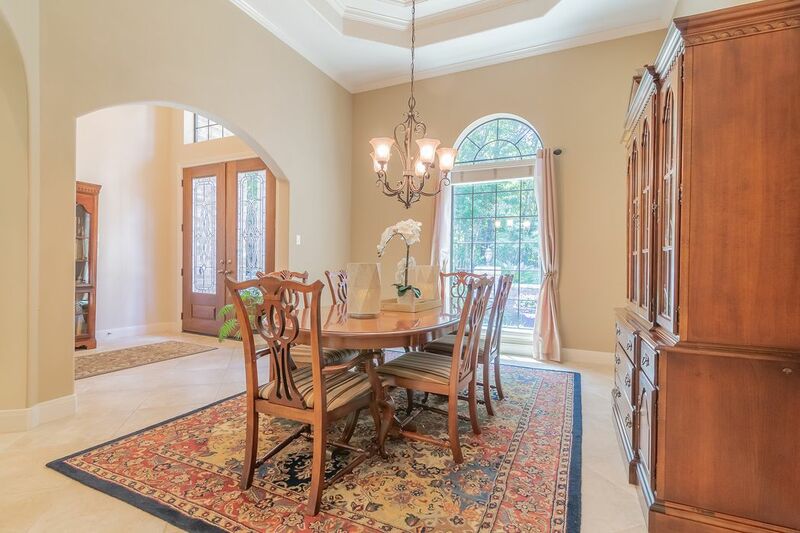 Upscale gated estate living with 1-story forever plan is set amidst plantings of the old Teas Nursery growing grounds and majestic aged hardwood trees. Believed to be located at the dogwood section due to the abundance of the gorgeous white seasonal blossoms. 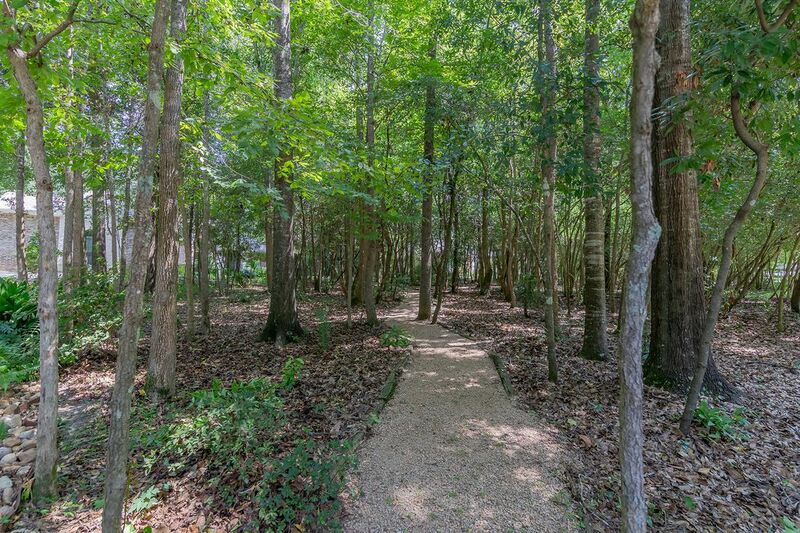 Restrictive covenants require for a reserve of natural forest to be maintained around each property to preserve this wooded sanctuary. 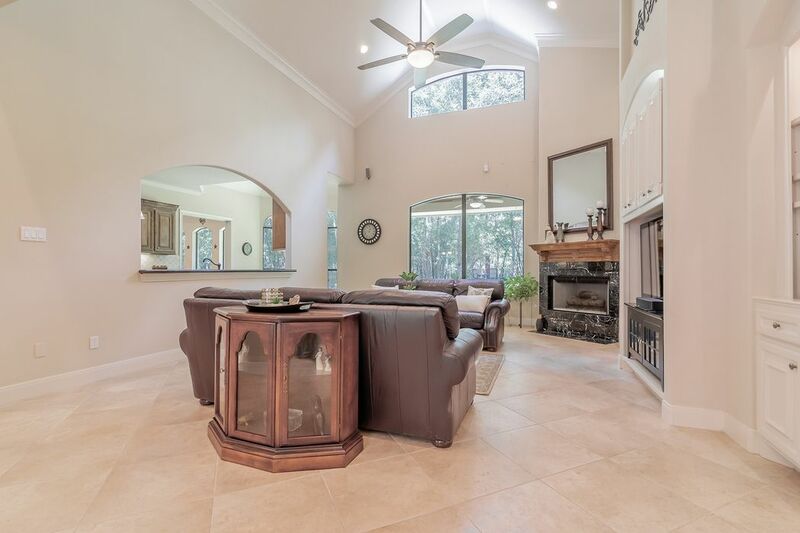 Designed to entertain, it has spacious, open appeal with a welcoming front courtyard plus a double height foyer and family room. 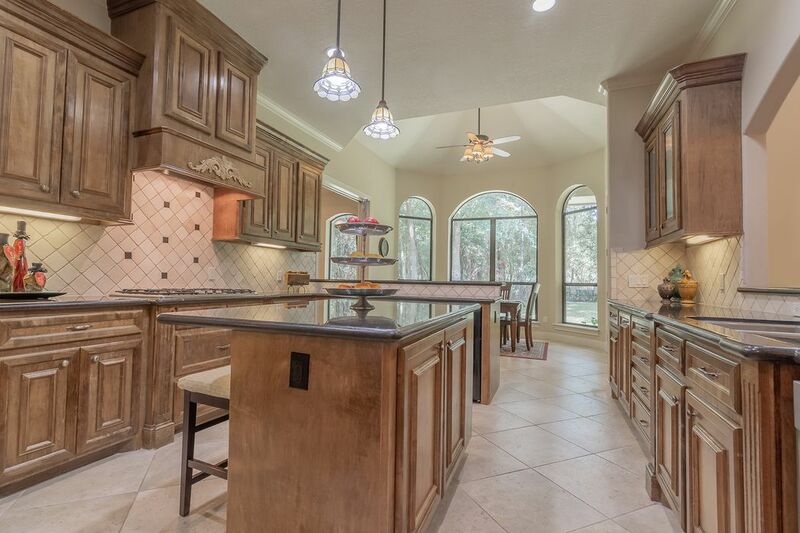 The architect has a specialty in kitchen design. 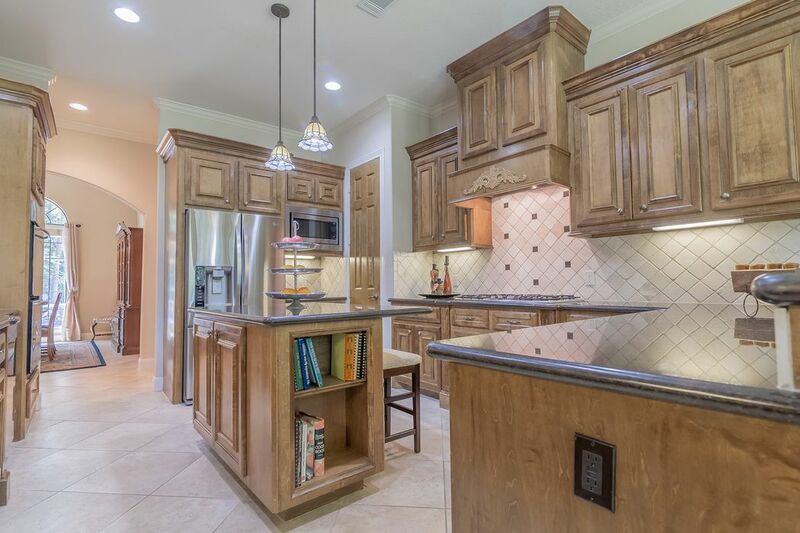 Ergonomically arranged with double ovens, gas cooktop, wine chiller, eat-at island, breakfast bar, abundant custom maple cabinets with roll out shelves, plus efficiently located outlets. 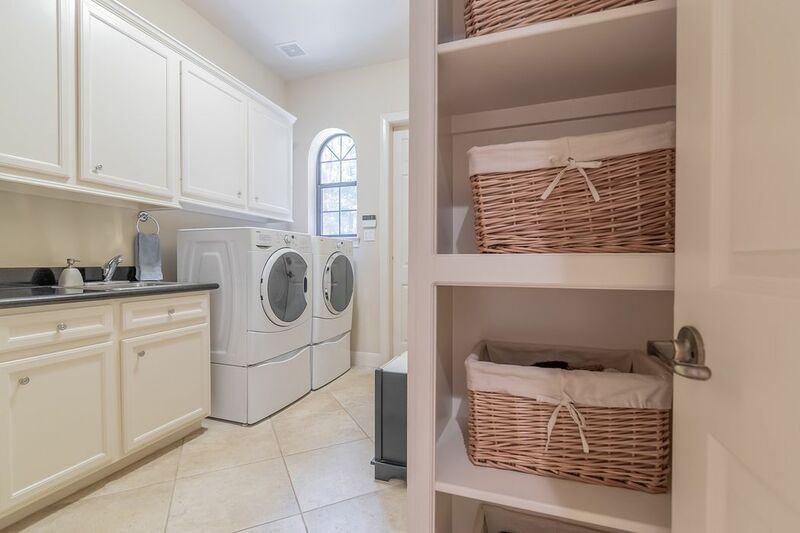 There is an outlet in the pantry for charging small appliances and an outlet above a kitchen shelf near the sink to create a convenient coffee bar while freeing up counter space. 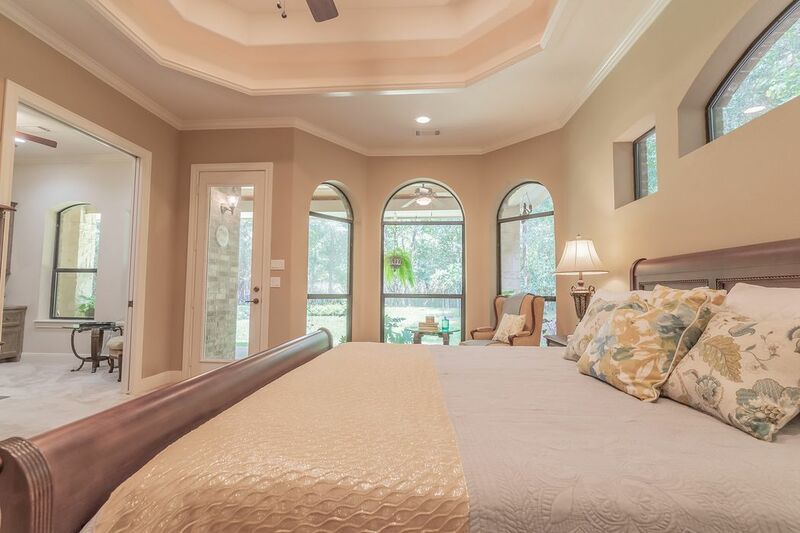 The luxe master retreat has a sitting room plus a private study, dual closets, backyard access and a spacious spa bath with vanity. 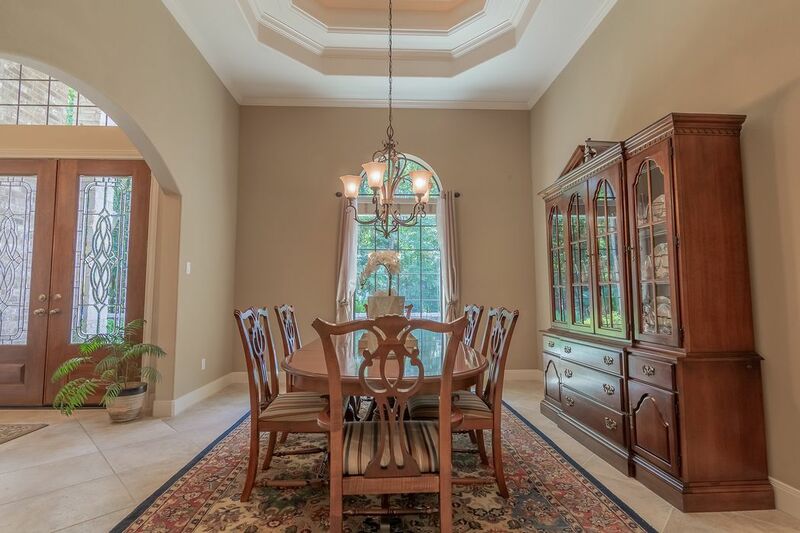 The large dining room has a lighted tray ceiling and butler's pantry. 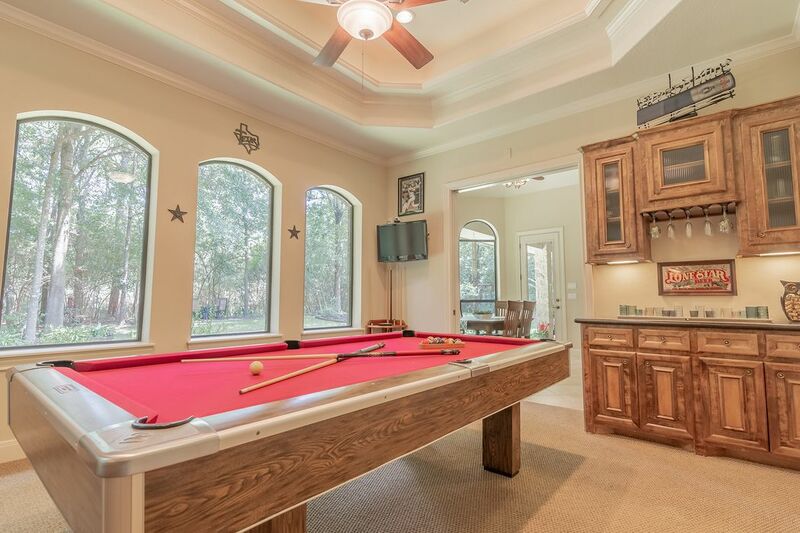 The large game room with built-in cabinets and wine rack is located off the breakfast room. There are concrete hike and bike trails around the 3 fishing lakes, playground and pavilion. 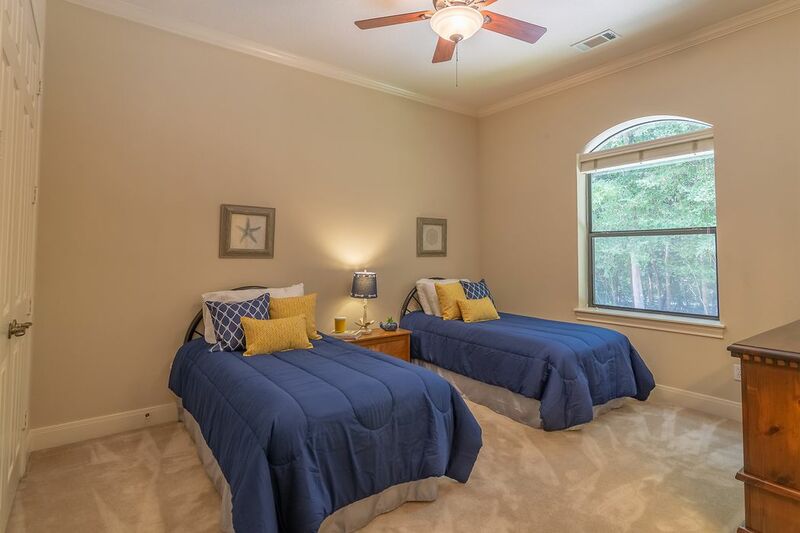 Great shopping, dining and Lake Conroe access is 2 miles away. Interstate 45 is 1 mile away. 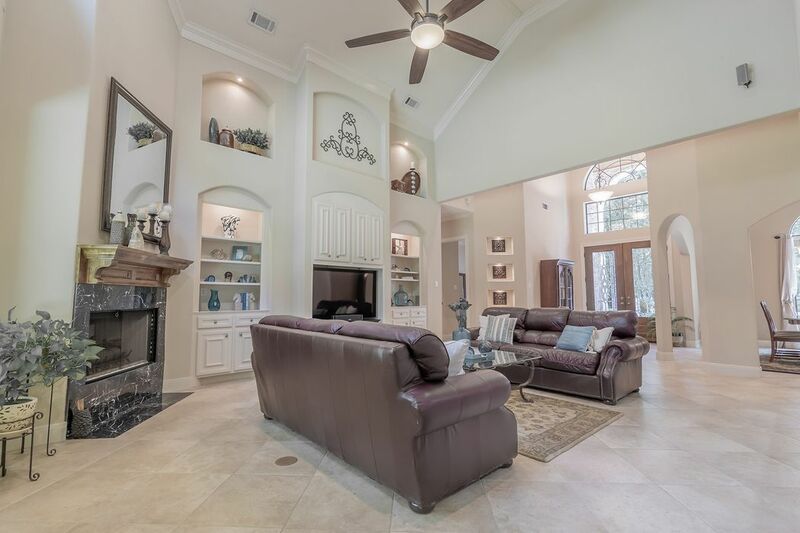 The home is less than 15 minutes from The Woodlands with its music venue, shopping mall and extensive restaurants along the man made scenic waterway. It is great to have easy access but to be tucked away in a peaceful setting outside the daily traffic nuisance.